Both Google and Microsoft envision a future where a small wearable device could do wonders like skydiving, assisting with elevator repair, showing real-time traffic updates and weather reports, shopping, and so much more. Welcome to virtual reality, where you can interact with the virtual world with just a headset. Both the tech giants have revolutionized the ways we communicate and explore things. It’s surprising to see how a small wearable technology could revolutionize the workplace in the best way possible. The world has transformed into a big canvas now where you can imagine and create inspiration of your own, thanks to the next-generation wearable technologies – Google Glass and Microsoft HoloLens. As if the computers aren’t enough to bring upon a technological revolution, they are now built to fit into mini wearable devices, changing the paradigm to make way for a new technology. Conceptually speaking, both the technologies are not so different from each other, literally mimicking the human brain, but they are not so alike either. Let’s take a good look at how the two technologies compare on technological fronts. While in technological terms, both seem like the next generation of smart glasses or you can say they are wearable technologies of some sort, they’re actually very different. Microsoft HoloLens is more of a prototype of augmented reality smart glasses which is in its early stage of development. Google Glass, on the other hand, is a wearable computer packed with a plethora of features such as GPS, Bluetooth, Wi-Fi, camera, speakers, and more. This article explains the differences between the two technologies on various aspects. Google Glass is a wearable computer that looks more like regular glasses but with information-only display on one side just like sunglasses which doesn’t get in the way of your everyday life. The idea was to make it comfortable enough to wear all day long. Microsoft HoloLens, on the other hand, isn’t designed for all that stuff – it’s like an augmented reality headset that transforms the world around you with holograms offering a unique augmented reality experience. The biggest difference between the two technologies is probably the purpose. Google Glass is designed to give unrestricted access to almost everything in the simplest way possible and provide all the information you want in hands-free format. With Glass, the entire world is at your fingertips. 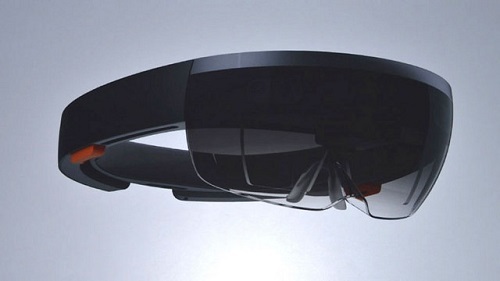 HoloLens, on the other hand, is a stand-alone wearable device which transforms your vision into the virtual world. HoloLens is a bulky wearable device with a thick wrap-around design that restricts most of your vision to let you focus on the virtual world with 3D images projected onto the walls, tables, and other objects around. The cushioned headband can be adjusted to secure the device around the crown for a comfortable fit. Google Glass is designed to be as comfortable as a regular pair of glasses where the users get the info via the internet with the help of voice commands. Google Glass reacts to voice commands to give you all the information you need by communicating with the internet. It brings you closer to the virtual world in the simplest way possible without keeping you away from the real world. HoloLens, on the other hand, is based on the basic premise of augmented reality which harnesses basic finger taps and head movements to interact with the virtual world to provide a more realistic experience. Google Glass connects to Google Maps to provide real-time information on almost everything such as traffic updates, directions, weather report, navigation, and more. Glass is all about daily tasks and notifications like messages and weather alerts, exactly like you’re using a smartphone. HoloLens, on the other hand, doesn’t require a smartphone or a PC which means you have complete unrestricted access for a more immersive experience. HoloLens allows you to interact with objects in the virtual world with customized gestures and eye movement to ensure a more immersive experience. 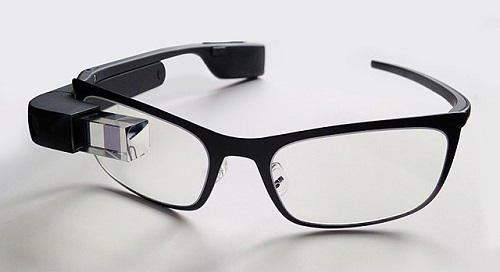 To interact with Google Glass, you just have to say “Ok, Glass” and the device does the rest. It harnesses your voice commands to connect you directly to the search engine which makes everything so much interesting and easy to control. It leverages voice commands to give you access to everything that matters while still allowing you to go through your daily routines. It recognizes your gestures and eye movement to connect to the virtual world which in a way, interferes with the elements from the real world. Designed to look like regular glasses which makes it comfortable to wear all day long. Looks like a head-mounted display which focuses on the virtual world, thereby restricting your vision for the real world. Comes in multiple color options, shades and frames to suit every style. It’s a stand-alone device with no customizations whatsoever. Make it a little tough to interact with the world with voice-based commands. Tracks eye movement to make it easy for you to manipulate the content. No socket for 3.5mm audio jack. You can use the device with almost every earphone, thanks to the 3.5mm audio jack socket. Extremely lightweight yet strong. Weighs a whole lot more than the Glass. Comes with 16GB internal storage space. Comes with 64GB of internal storage space. It cannot track your position. It can track your position and warn you if you’re about to hit something. It doesn’t have an electronic display. Comes with an electronic display for a more realistic experience. It does not include support for a game controller. It comes with a game controller. It supports Wi-Fi and Bluetooth connectivity. It does not support Wi-Fi and Bluetooth connectivity. While most recommend Google Glass for its lightweight and feature-rich design which almost looks like a pair of regular glasses, HoloLens also has a lot under its sleeves that could transform the world around you. Both the tech giants are planning to make augmented reality mainstream, but bringing ideas to life is not as simple as it seems. It was the idea of long-present computing that made our lives so much simpler has laid the groundwork for smart technologies such as smart headgear and augmented reality. Google Glass and Microsoft HoloLens are such smart wearable technologies that are transforming the world around you while providing a unique visual experience. And this article compares the two smart technologies on various aspects. Sagar Khillar. "Difference between Google Glass and Microsoft HoloLens." DifferenceBetween.net. March 13, 2018 < http://www.differencebetween.net/technology/difference-between-google-glass-and-microsoft-hololens/ >. HoloLens projects virtual objects and video into the room, with glass you have to look away. HoloLens has cameras and you can take photo and video. Have you even used either? It reads like you haven’t used either.